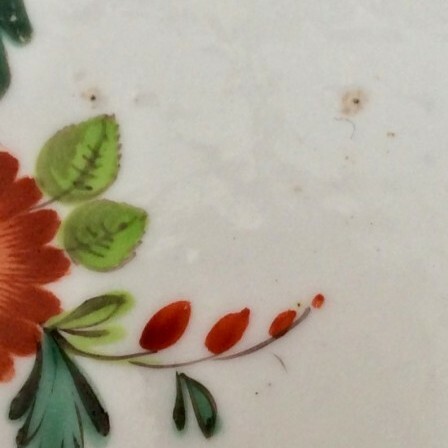 Antique 18/ 19th century German porcelain flower spray hand painted plate. Press moulded border. 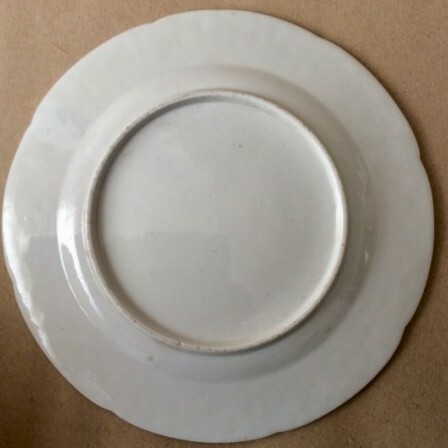 Antique porcelain press moulded German flower plate. 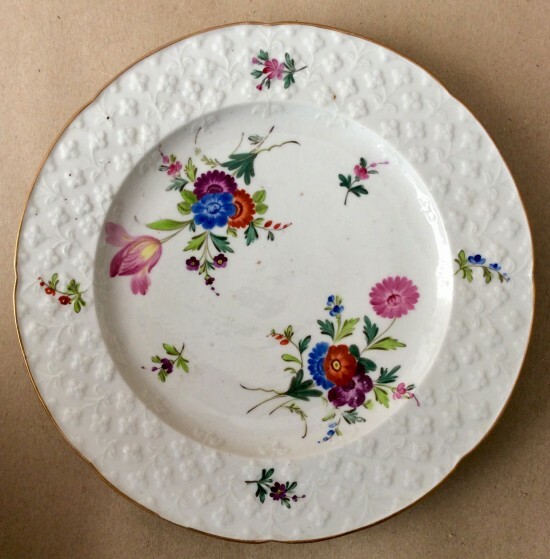 Description: Hand painted German plate with bouquets of flowers and sprays to borders. Guilt edged and press moulded border ( repeat pattern of small flower heads.). No major damage, but quite a lot of fritting to body ( see photographs). Dimensions: Diam 21.8cm. Depth 2cm.